A beautiful range of walks around our new Nature Reserve. Red Deer, Roe Deer, Fox, Badger, Pine Martin, Red Squirrel down to butterflies – Scotch Argus, Speckled Wood, Peacock, Chequered Skipper etc. If you don’t see them on the day visit the Highland Titles Nature Reserve Facebook page for the latest SpyCam shots! Free entry, and free WI-FI at Reception. Be safe, take nothing but photographs, kill nothing but time and leave nothing but footprints! 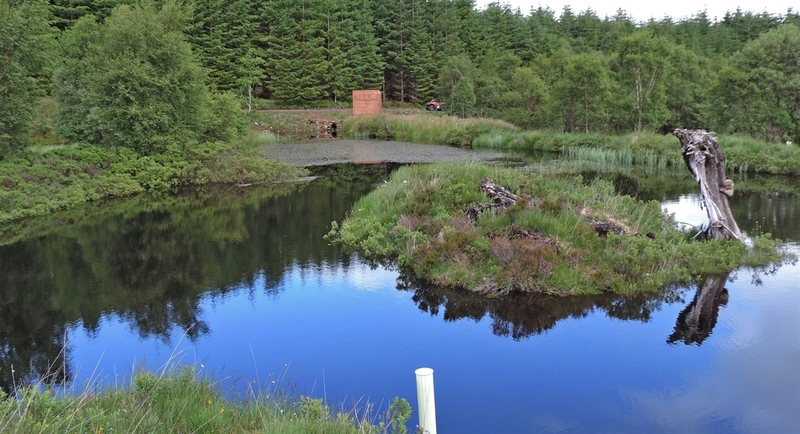 Two hides have been located by the lochans at the Highland Titles Nature Reserve. Assuming you’re on the A82 from Glasgow, you’ll go through Glencoe, through Ballachulish and then to a mini roundabout where you’ll turn off the A82 heading for Oban NOT Fort William/Inverness. Drive past the cemetery @ Duror still heading south on the Oban road A828) for just under 2 miles, along a reasonably straight section with a bend at the end (and a mirror opposite) that's the place - just take your time as you get to the end of the straight as the left turn you want is right on the bend – watch for all the bare rock, two green plant tubs and a wooden sign. Take the left (open) gate and follow the track to the car park.